Google is working hard to improve the functionalty and productivity of every single product to its best.According to me most of its products that I use are already perfect but it is not a bad idea to improve the quality of an owned product in either way and Google does not want to give a single chance now to any company either existing in reality or planning a launch to compete with either of its products in any way like Facebook. Blogger is an awesome free service from Google like most of its other services.I always think that if Google would have provided the SEO options in Blogger platform like we have in Wordpress,I would have never hosted my other blogs on Wordpress.I have learnt to customize almost everything that we do in WP such as adding related posts,sharing buttons,meta description,keywords,numbered page navigation etc. 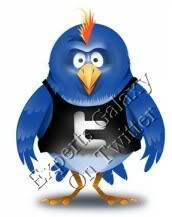 but I was missing the SEO options in Blogger which is now being taken care by Google gradually. PageRank also plays an important role in SEO which is dependent on incoming links to your blog as well as outgoing links from the blog.In short if more incoming links are there to your blog from high PR(PageRank) sites the more will be your blog`s trust in search engine`s eye and more outgoing links from your blog without a nofollow attribute may decrease your PageRank. How To Add Nofollow Attribute To Any Link In Blogger Post ? 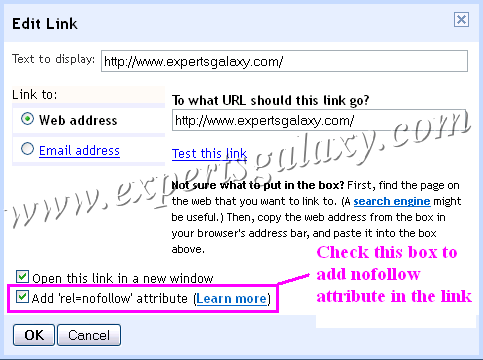 As explained above in the HTML code,we can add rel="nofollow" to any link to make it a nofollow link for search robots but if there are so many external links in a post like we have in the post Be A Shareaholic By Adding Social Sharing Buttons In Your Browser for different browsers and many other external links then its a lengthy process to switch to Edit HTML option on top right and adding the line to the link to make it nofollow and believe it or not,I have never done that ( All external links on this blog are dofollow till now ). 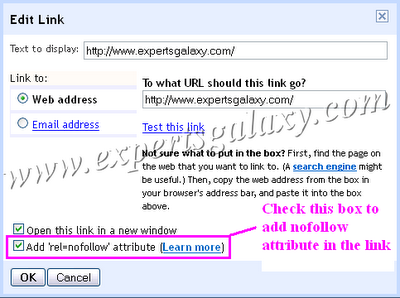 While adding any link to your post,above shown pop up window appears on the screen to add Text to display or the Web address.Now this pop up appears with two options at the bottom and one is to Add 'rel=nofollow' attribute to the added link.If you check the option it will make the added link nofollow and hence it will not be tracked by the search bots saving your PR and if you do not check the box it will make the link dofollow for the search bot sharing your PageRank with the link. 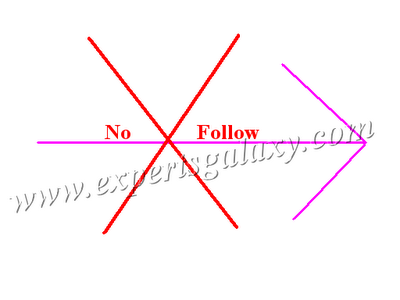 Now if you are not familiar with the nofollow and dofollow fundamentals this link from Google including the video on the page will help you a lot.Rest you have Google to Google it more but dont forget to add dofollow attribute to all internal links ( links to your blog`s post itself ) and for that do not check the box in the pop up window.Try to add nofollow attribute to external links as more as possible,this will surely help in increasing the SEO of your blog and hence more traffic from search engines.